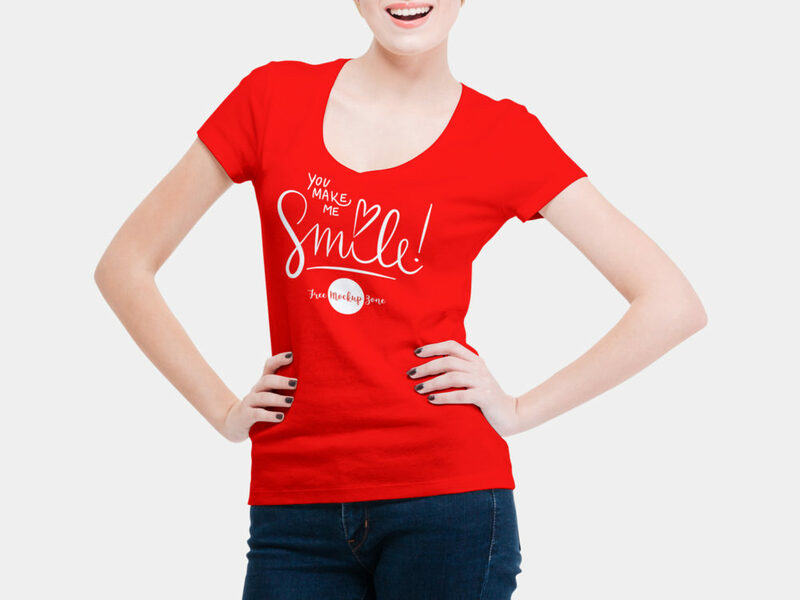 Smiling Woman Wearing V-Shape T-Shirt Mockup to showcase your design. Very simple edit with smart layers. Free for personal and commercial use. Enjoy!